Making Contact Liberate Nord village by defeating the nearby leader’s cave. More Business Partners Liberate a second Nord village. Against The Elements Equip your troops with 2 types of winter gear. Help You Help Me Liberate a third Nord village. Can’t Be Overprepared Equip your troops with a third of winter gear. Ambush! Defeat The Nords Leader. Its a good idea to use the buff Obsidian horseshoes, but its not necessary for the blocks. 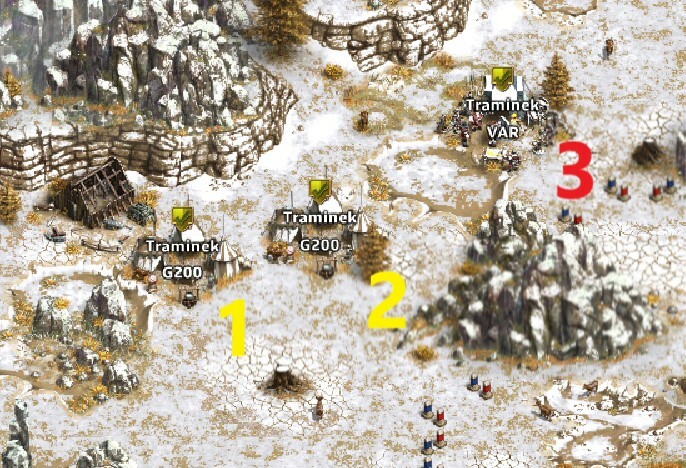 then send general 1 wave (VAR) 51 Mounted Swordsman, 105 Mounted Marksman, 39 Besieger to camp 11.
then send 2 Generals (200) 1 Recruit and General (200fast) 1 Recruit to camp 19. Vargus will arrive last, if sent correctly.